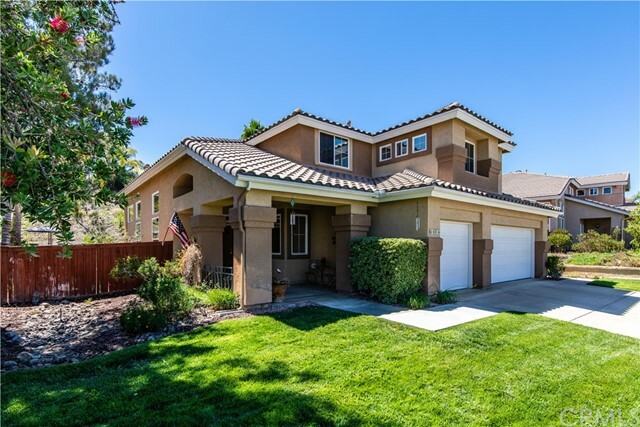 Lovely well maintained pool home on the West Side of Murrieta, in the preferred Bear Valley neighborhood. Original owner, upgraded kitchen appliances, tile wood look flooring down stairs, back patio door with side screens, Aluma wood patio cover, three car garage, front double door entry, covered front porch and one bedroom and full bath downstairs. Low taxes, no HOA. Great floor plan, walking distance to Cole Canyon Elementary and Bear Valley Park, close to I-15 freeway, in a great area on a quiet street.